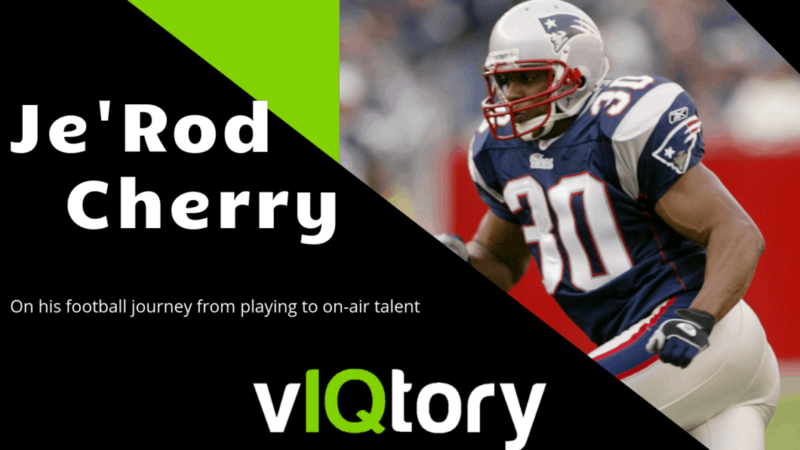 On this episode of the vIQtory podcast we are joined by 3x Super Bowl Champ and current ESPN Cleveland radio personality, Je’Rod Cherry. Je’Rod had a 9 year career in the NFL which was highlighted with winning 3 Super Bowls with the Patriots in the early 2000’s. Cherry was a special teams standout and showcased the ‘Patriot Way’. Since his retirement he has been a positive influence in making a difference in the lives of others (we talk about how he auctioned his SB ring) and is now a focal point in the Cleveland area covering the Browns on ESPN Cleveland. Keep up with Je’Rod by following him on Twitter and catch him on ESPN Cleveland!